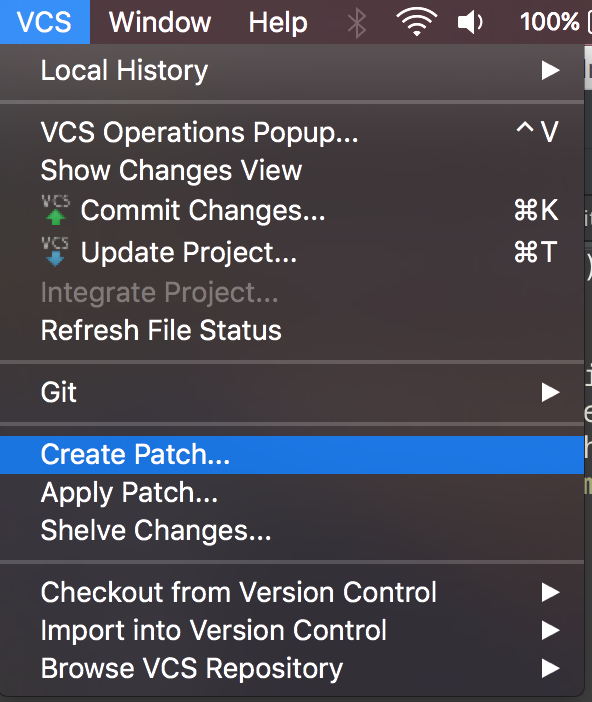 The android studio git creating applying patches tutorial explains how to use android studio for generating patches which would generally be used for code fixes. And then the tutorial will demonstrate how to apply a patch in the form of a code fix. This android developers tutorial will be using this tutorial as a real life example. The details for the bug fix are to change references to Manifest.permission.CAMERA to android.Manifest.permission.CAMERA. 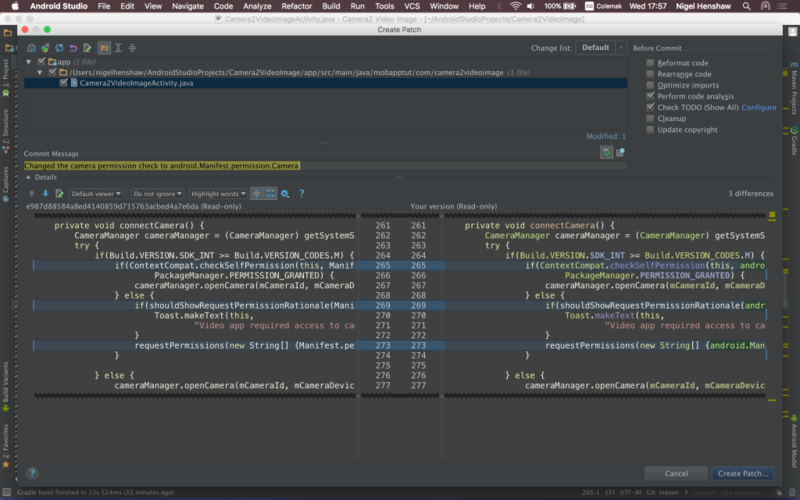 All you need to do is enter a description for commit message and then select the create patch button. 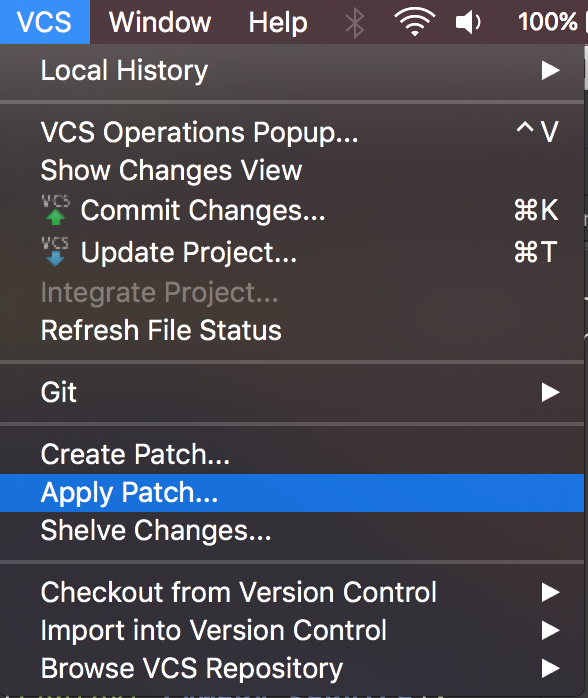 The next popup box will give you the path & patch file name for you to adjust if necessary. Once the OK button is selected the patch will be created. For the purposes of this tutorial I will be removing the code fix and then applying the patch that was created at the start of this tutorial. and select the patch that was just created. 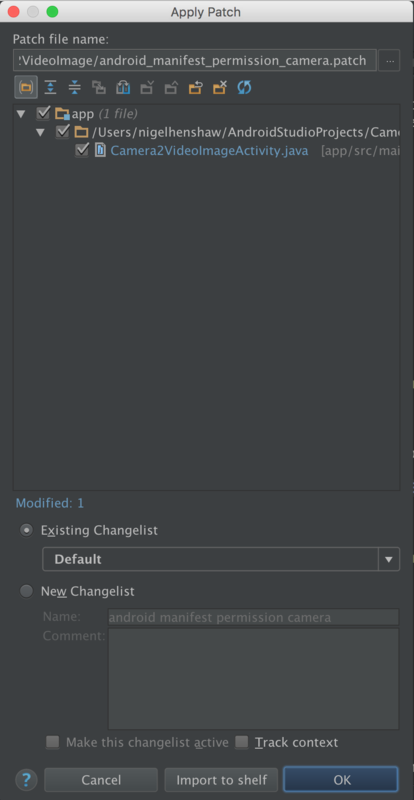 I will just used the existing changelist and select OK.
And you should be notified that the patch was successfully applied. The android studio git creating applying patches tutorial highlighted how straight forward it is to create your own patches or to apply patches from others. Mobile application tutorials uses this method for applying bug fixes to existing tutorials.